like a Christmas SAL! Many thanks to Carole at http://novalee02.over-blog.com/ for her lovely creation! There are only a few more charts to come, and this one will be done. I am thinking of finishing it as a quilted wallhanging. I must decide what to add in between the bows. 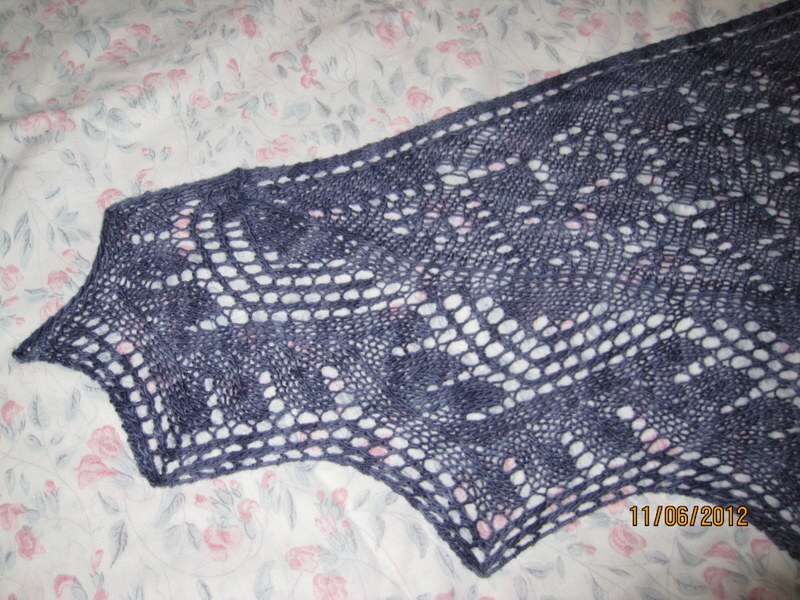 I finished this shawl as well -# 28 Lace Shawl from Vogue Knitting, Early Fall 2012 issue. 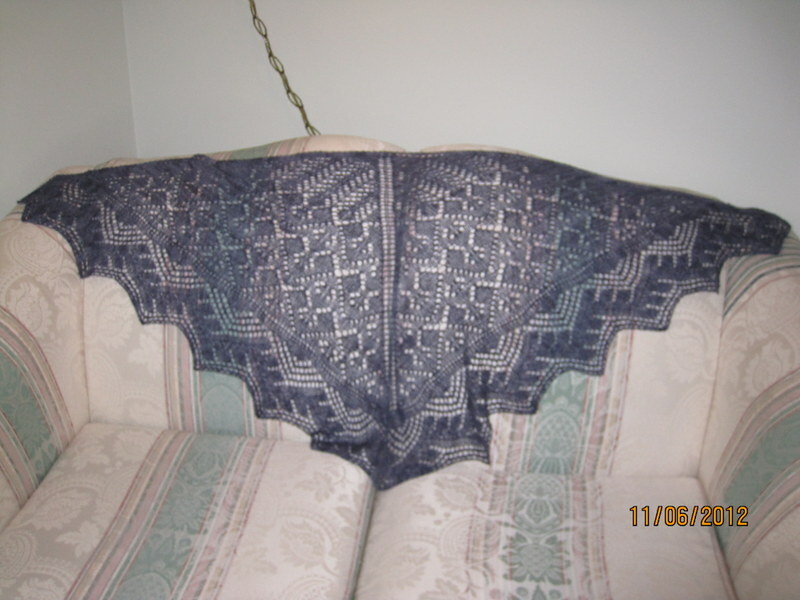 I am calling it my Indigo Blues Shawl – lol – a much more glamorous name! 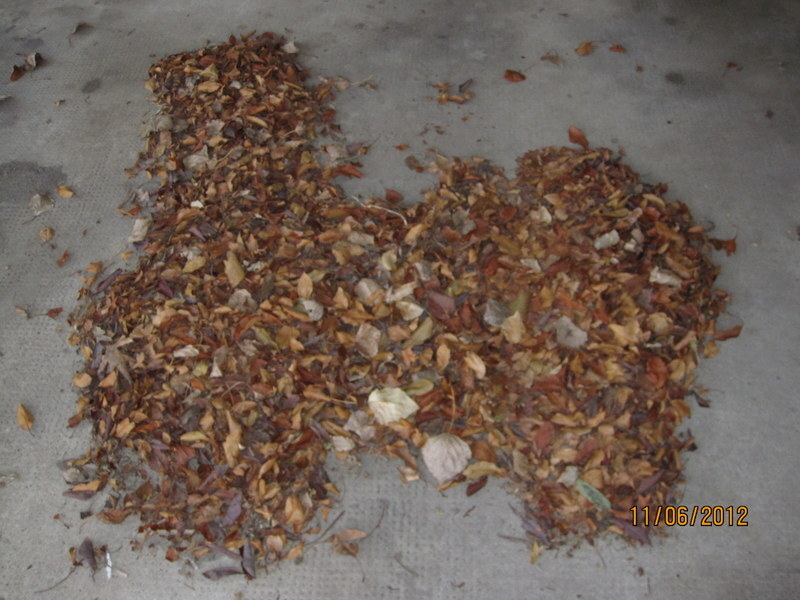 Anyone else see an alpaca here? Previous First Snowfall Next November is Finishing Month! Your SAL looks great Kathy and I LOVE that shawl – you did great job on it! 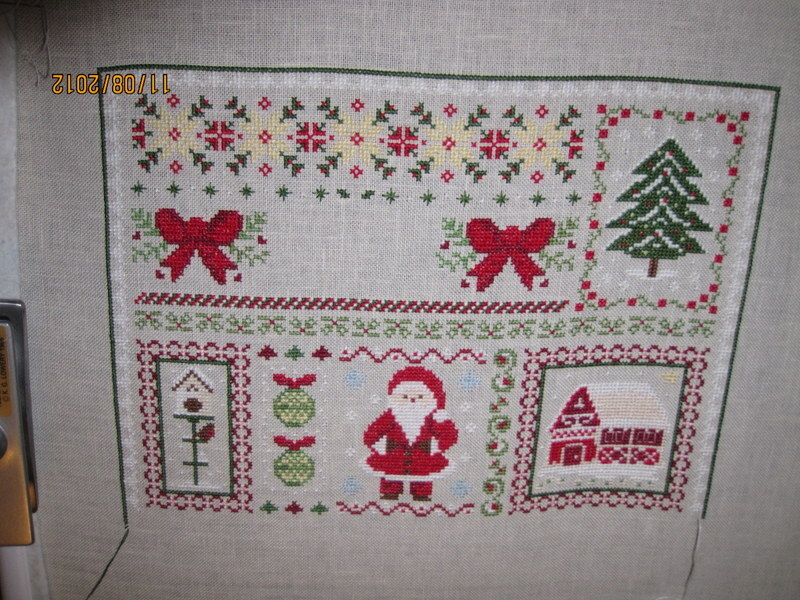 That’s a great SAL and I’m sure it will look gorgeous as a quilted wall hanging. Oh, that SAL is so pretty!! And the shawl is FANTASTIC!!! Congrats on finishing it!